Jet pumps are used to lift liquid from a well. A specially-designed jet is engineered to utilize the venturi effect. The venturi effect is a drop in fluid pressure that results when an incompressible fluid flows through a constricted section of pipe. In order for jet pumps to begin working, it needs to be primed. To prime a typical jet pump, it needs to be completely filled with water including the pump casing, suction line, and drive line. Once the system is primed, a centrifugal pump is used to push the water out. Some of the water us discharged out, while the rest is recirculated into the drive line. As the water enters the nozzle, it is forced down the venturi. This creates a vacuum which draws the water up from the well through a foot valve. As the water passes through the venturi tube into the suction line, the pressure is increased sufficiently to force the water back to the pump impeller. 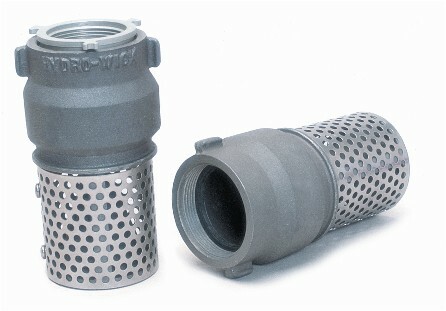 The foot valve is a crucial part of the system. It is mounted below the pump at the bottom of the well. It is the first mechanical component to contact the water in the well and performs a various amount of key functions. It receives water into the system and feeds the pump. It filters the sediment and debris out of the well and keeps it away from the pump. 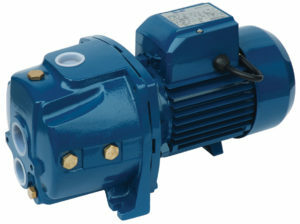 It maintains the pump prime and prevents the pump from running dry. Prevents the back-flow of the system back into the well.